Even though I haven't done many clay projects lately, I've had loads of ideas rolling around in my head. I figured I get started working on a few to make room for some other stuff up there. -embellishing tools, glitter, beads, etc. 2) Place the top part of your key on top of your clay, keeping the part that goes into the lock clear. 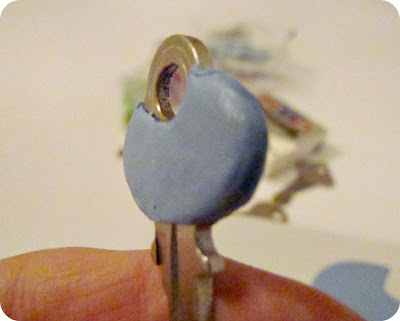 3) Trim the clay around the shape of your key. 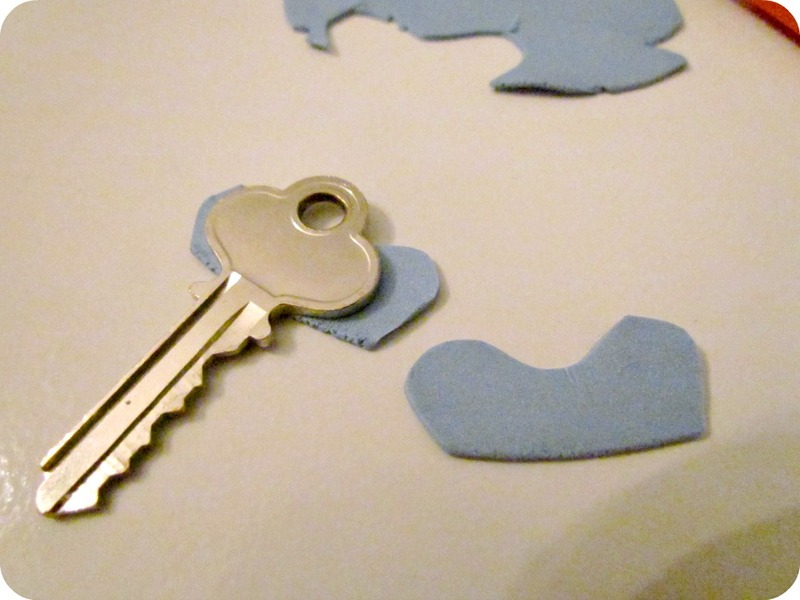 Make two pieces, one for each side. 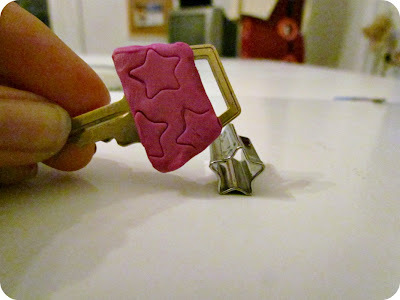 4) Sandwich your key between the layers of clay and press together. Trim the clay some more and gently work the edges together to seal them. 5) You can leave it there if you want and just follow the manufacturer's directions for baking. 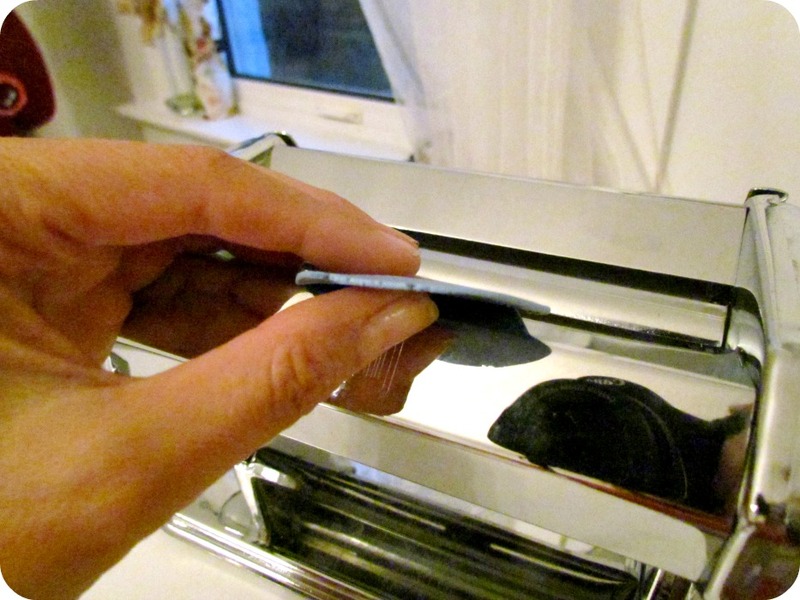 The temperature of the oven should be very very low so it won't damage your keys. 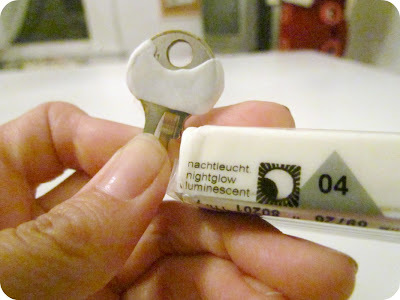 Obviously, do not use keys that have plastic or other flammable pieces on them. 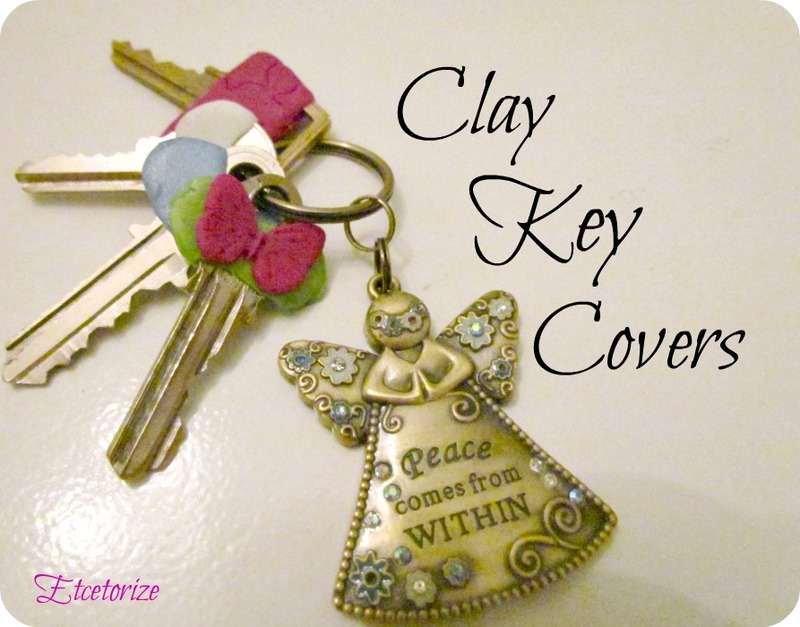 Use Glow in the Dark clay!! 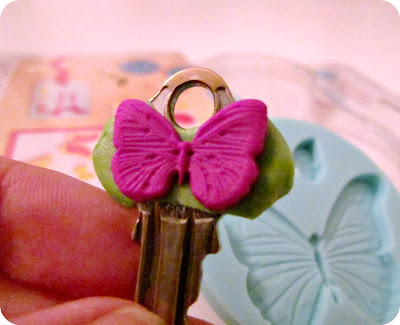 Add a small embellishment from a mold! 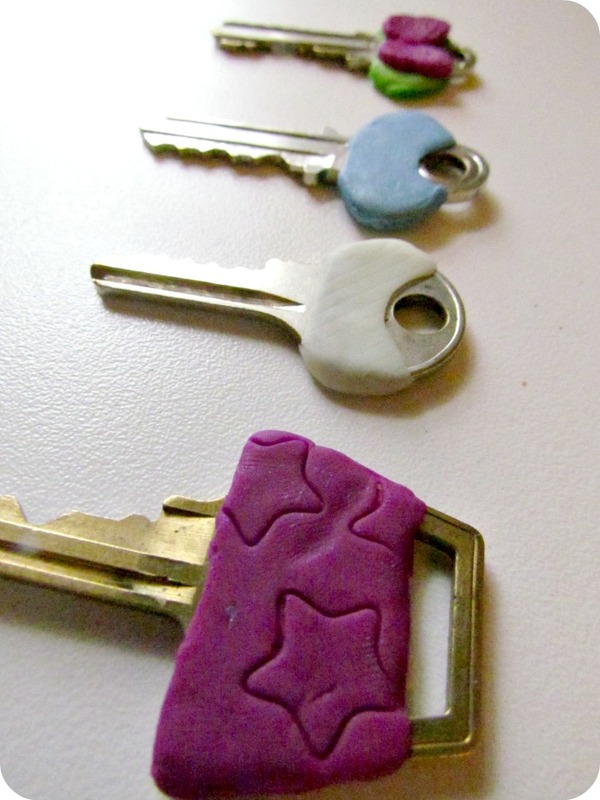 You could even add glitter or beads! Use your imagination and see what you come up with! (As stated above...only use non-flammable items). As lead guitarist of the Rolling Stones, Keith Richards created the riffs, the lyrics, and the songs that roused the world. A true and towering original, he has always walked his own path, spoken his mind, and done things his own way. Now at last Richards pauses to tell his story in the most anticipated autobiography in decades. And what a story! Listening obsessively to Chuck Berry and Muddy Waters records in a coldwater flat with Mick Jagger and Brian Jones, building a sound and a band out of music they loved. Finding fame and success as a bad-boy band, only to find themselves challenged by authorities everywhere. Dropping his guitar's sixth string to create a new sound that allowed him to create immortal riffs like those in "Honky Tonk Woman" and "Jumpin' Jack Flash." Falling in love with Anita Pallenberg, Brian Jones's girlfriend. Arrested and imprisoned for drug possession. Tax exile in France and recording Exile on Main Street. Ever-increasing fame, isolation, and addiction making life an ever faster frenzy. Through it all, Richards remained devoted to the music of the band, until even that was challenged by Mick Jagger's attempt at a solo career, leading to a decade of conflicts and ultimately the biggest reunion tour in history. In a voice that is uniquely and unmistakably him--part growl, part laugh--Keith Richards brings us the truest rock-and-roll life of our times, unfettered and fearless and true. Richards' rich voice introduces the audiobook edition of LIFE and leads us into Johnny Depp's performance, while fellow artist Joe Hurley bridges the long road traveled before Richards closes with the final chapter of this incredible 23-hour production, which includes a bonus PDF of photos. I'm not even a Rolling Stones fan (sacrilege, I know), but I loved this book. I picked it up on CD because I had a really long car trip and this had a lot of cd's. I didn't want it to end though. 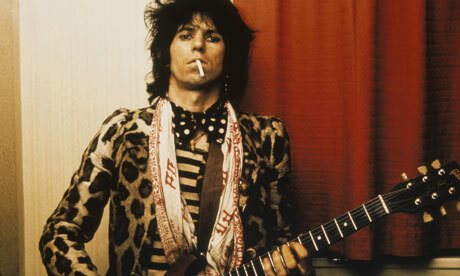 Keith Richards is such a character and he's lived a life that myths are made out of. 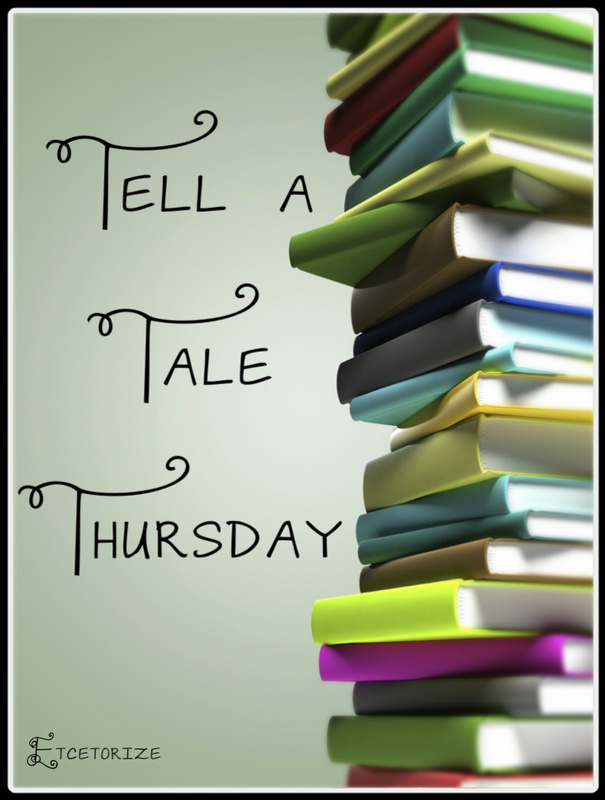 The sudden change in narrator's can throw you at first, but overall it's read well. It's very stream of conciousness but is fairly chronological so it's easy to follow, for the most part. I learned so much and have much more respect for the muscianship of the Rolling Stones after having read where them came from, how they paid their dues, and where their original inspiration came from. The men in the band are like brothers and they've seen it all. Keeping in mind, this is just one man's point of view, I think it presents incredible insight into a time and a lifestyle that is heavily romanticized. I enjoyed the whole book but really became fascinated by how honest Richards was about his relationship with Mick Jaggar. We all know it hasn't always been roses and honey but it's interesting to hear how they put their differences aside for the music...from time to time. I'm really glad I listened to it instead of trying to read this massive tome. Having it 'performed' in Keith's unmistakable (but understandable) drawl only added flavour to the whole thing. This may not be a book for everyone, but if you're interested in music or the hippie lifestyle of the 60's-70's then I think you'll find this hard to put down. Are you a Rolling Stones fan? Do you have a favourite song that you think epitomizes who they are? If you read Life, let the rest of us know what you thought. I haven't seen one bad review of this book yet! 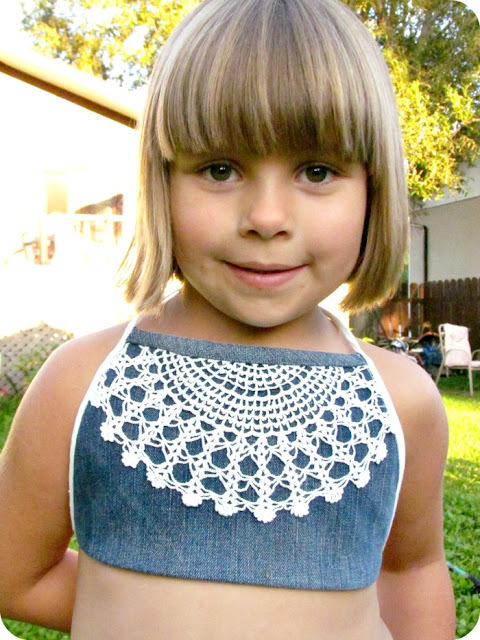 I came across this awesome pattern at the second hand shop the other day and just had to make that cute little halter top! This is such a great stash buster. 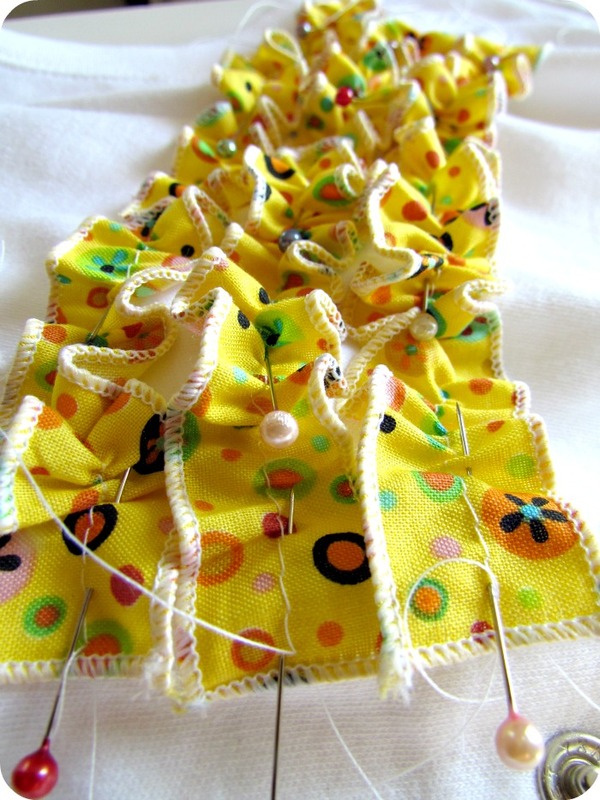 The body takes hardly any fabric, you can just use bias tape for the edges/straps, and you can embellish it a million different ways. I love hidden treasures like this! As you know, I'm very slow to pick up trends...especially techie trends. 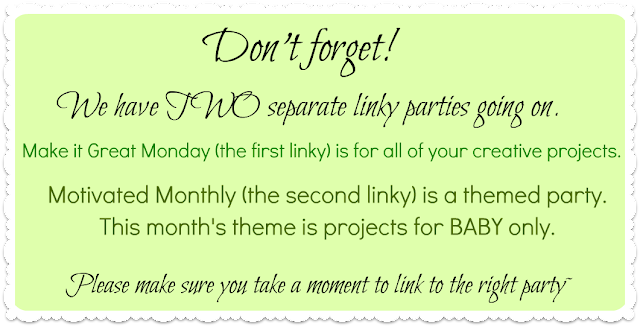 But you may have noticed, if you entered the Happy Birthday giveaway or you've been checking out my sidebar...I'm finally tweeting! I don't intend on going all Kaye West on you and start tweeting about the minutia of buying conference tables or how much I like peanut butter. 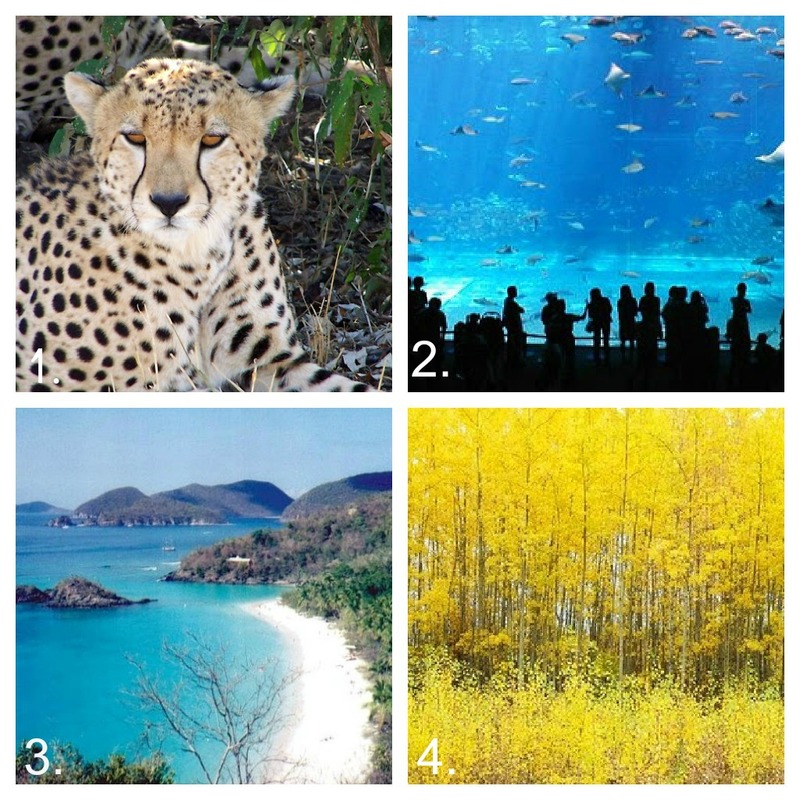 I hope to share helpful links and info related to all of the things I know you love! 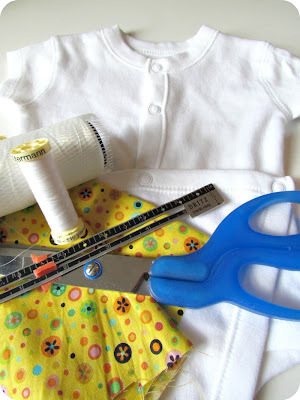 Things like sewing, crafting, giveaways, and more! Check it out, and if you decide to follow before August 31st, make sure to enter the Birthday Giveaway because that's an extra entry right there! 1. 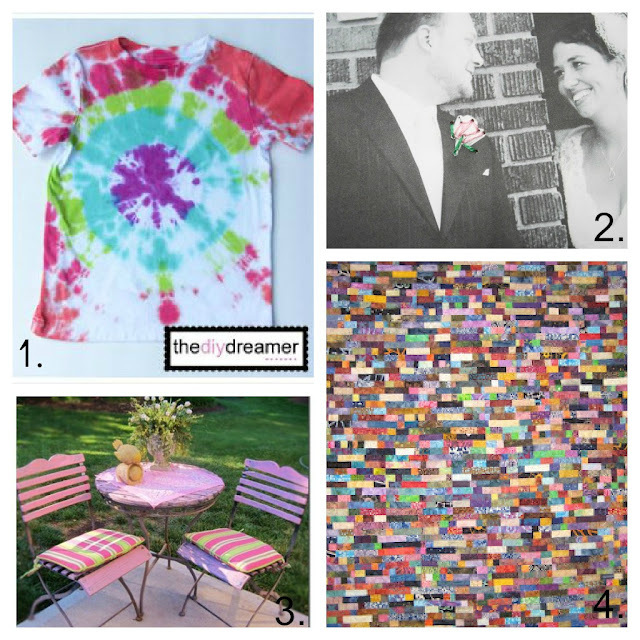 Christine from The DIY Dreamer showed you an easy way to make fun tie dye shirts. 2. Nancy from Small Things with Love added some coloured details to black and white photos by stitching on them with embroidery thread! 3. Judy over at In His Grip prettied up her patio by painting everything the prettiest shade of pink. 4. and I Quilt for Fun made this gorgeous quilt from scraps she collected from her friends all over the country. Visit her to read about the fun story of how it came together, and where it's headed off to! Thank you to everyone for linking up! I love having sooooo many creative ideas all in one place. to grab a featured button from the sidebar. Now, onto this week's Make it Great party! And, not really a rule, but something you won't regret if you do....go visit some of the other links and leave a comment, we all love comments right? And you never know what kind of goodies you'll find! If you link up, please post my button somewhere on your blog so more people can come join the fun. One Wednesday I showed you all of the cute little things I made for my friend Gen who just had a brand new baby girl. One of those things was a cute embellished onesie. 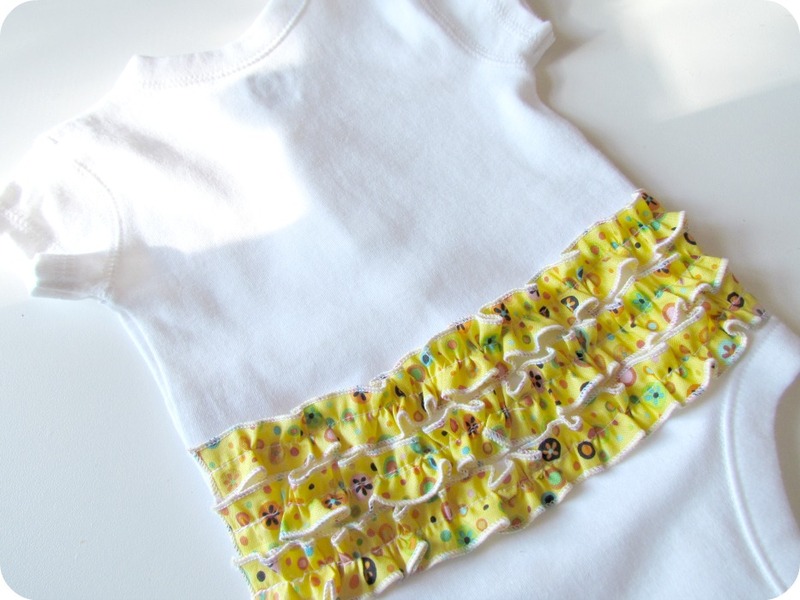 It's super easy and the perfect project for any new moms out there who are new to sewing. 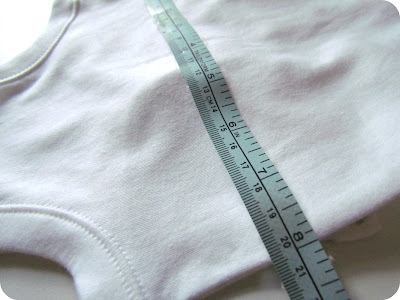 1) Measure across the bum part of the onesie and double that measurement. 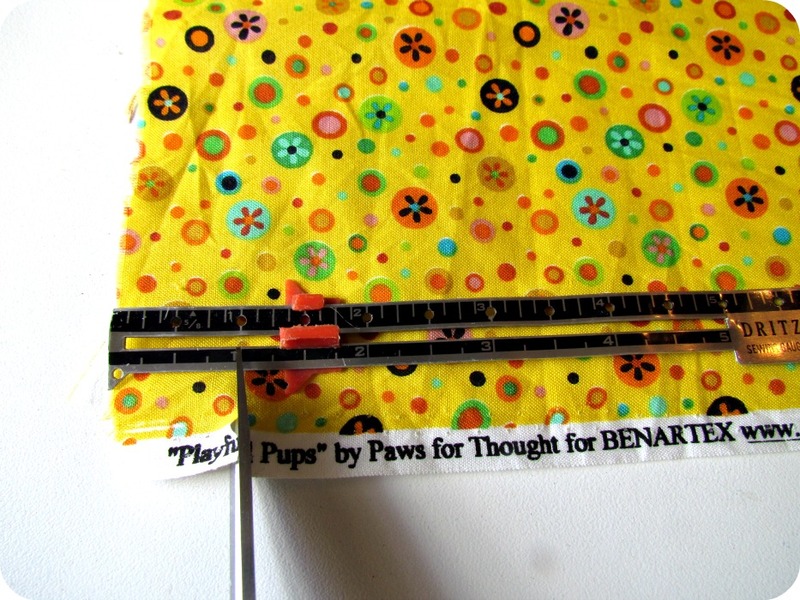 Mine was 8", so I'm going to cut my cotton fabric strips 16". 2) Cut 1" wide strips from your cotton whatever length you calculated above. Make as many as you want, I went with 3 but you could go for more if you like. 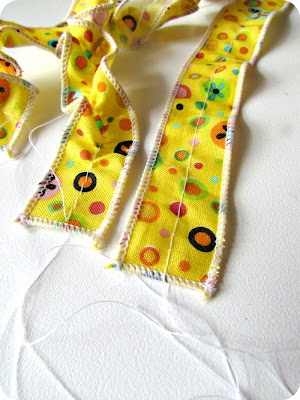 4) Sew a long basting stitch right down the centre of each of your strips. 5) Gently pull the bobbin thread to gather or ruffle your strip of fabric. Gather only to fit across your onesie (on mine, 8"). 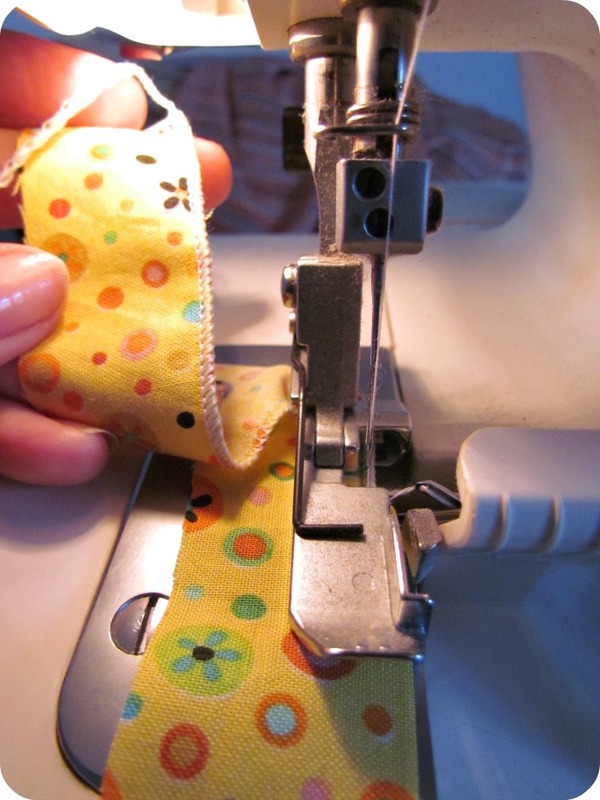 If you pull too much, just pull the fabric back along the thread to make it fit. Try to make sure your gathers are somewhat even. 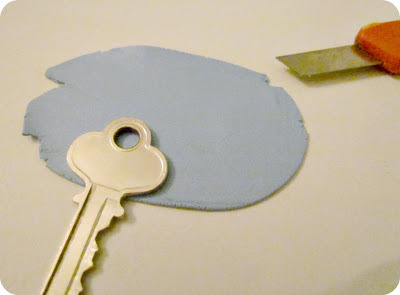 6) For easy placement I started with the bottom ruffle, matching it up with the edge of the leg hole. 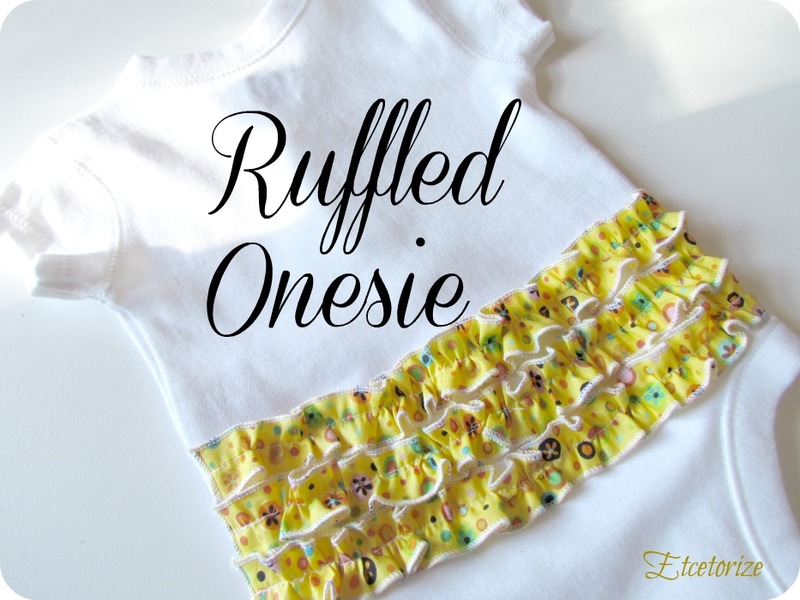 Pin in place down the centre of your ruffle. Add the next two layers above, simply laying each ruffle edge to edge with the one below it. 7) Go back to a regular sewing stitch and stitch right down the centre, on top of your basting threads. 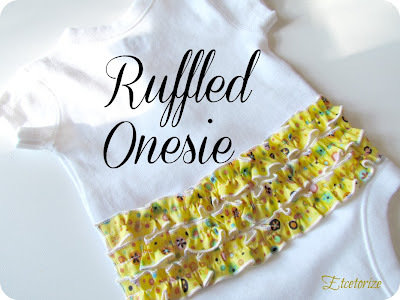 Try to keep the edges of your ruffle out of the way. 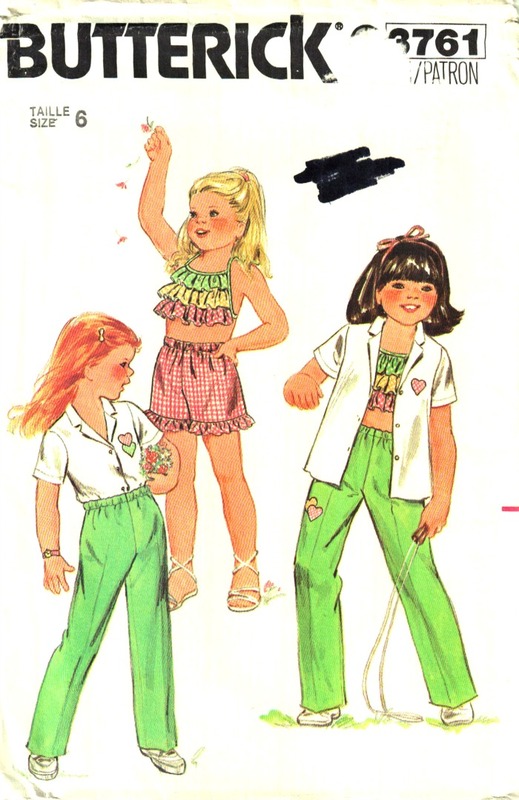 8) When you're all done and happy with it you can pull out your basting threads. Make sure not to leave anything hanging, stray threads can be very dangerous for a baby as they can wrap around their tiny fingers and cut off circulation. Always make super duper sure you've cut everything down. And that is it! I had some extra ruffle left so I made it into a little flower and handstitched it onto the front just so that not all the action is in the back. I made this as an extra 'add-in' gift but it seemed to steal the show actually. If you missed it and want to see what else was in the handmade gift pack just go here to check it all out! that started this latest pop culture phenomenon. Could you survive on your own, in the wild, with everyone out to make sure you don't live to see the morning? In the ruins of a place once known as North America lies the nation of Panem, a shining Capitol surrounded by twelve outlying districts. The Capitol is harsh and cruel and keeps the districts in line by forcing them all to send one boy and one girl between the ages of twelve and eighteen to participate in the annual Hunger Games, a fight to the death on live TV. Sixteen-year-old Katniss Everdeen, who lives alone with her mother and younger sister, regards it as a death sentence when she steps forward to take her sister’s place in the Games. But Katniss has been close to dead before—and survival, for her, is second nature. Without really meaning to, she becomes a contender. But if she is to win, she will have to start making choices that will weigh survival against humanity and life against love. I had put off reading the Hunger Games for many reasons (mainly the hype) but in the end I'm glad I read it. I think this is the kind of book that stays with you, in your head, for quite some time. When you least expect it, you're thinking about it again. The scariest thing is that it's only a slight exaggeration of North American society today. It's not difficult to envision a crazy 'reality' show just like this showing up on our TVs in the very near future. I enjoyed the writing, it was very visual without being overly descriptive, somehow Young Adult fiction books always seem to do this exceptionally well. The fact that I finished it within two days tells you that, first of all, it's an easy read, and secondly, it's a fast moving story that you don't want to put down. Don't let all the hype or the Young Adult label deter you. Even for someone like me who doesn't normally read this genre I really enjoyed it and I'm looking forward to watching the movie and reading the next two books. going until the end of August! Some of you who also follow my friend Gen over at Cabin Fevered Gem, may have noticed that she's sort of taken the summer off from blogging. That's because she's been busy...growing a baby! 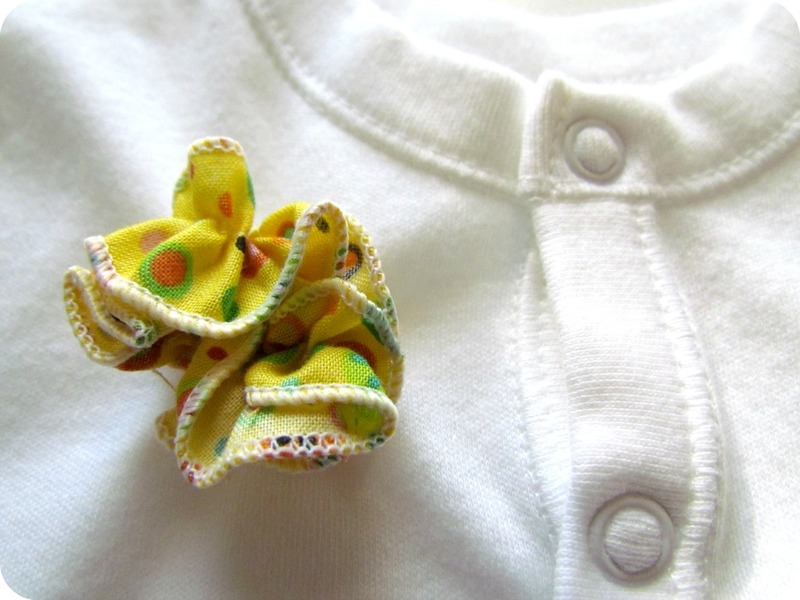 Of course, I couldn't pass up this chance to make a whole plethora of handmade baby gifts for her. Check out the video if you want to see the inside of my very first paperbag scrapbook album! I'm very excited about this project. It took forever to make, but was so much fun to put together. 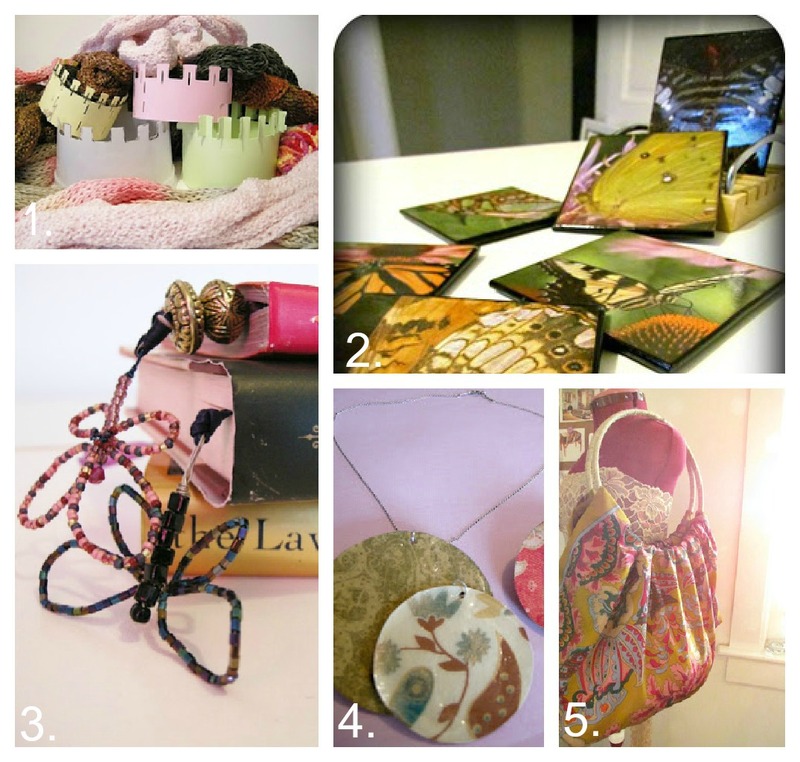 Don't forget to enter the HAPPY BIRTHDAY giveaway going on until the end of August! Wow! 2 years old today! I can hardly believe it. I had no idea I would stick with blogging this long and that I would enjoy it so much! There were times when I wondered what the heck I was doing this all for, but in the end, it's just plain fun to share your creations and get wonderful feedback from such an amazing and supportive community. You guys rock! I know I probably don't have as many followers as I should have, and I don't follow all of the trends very closely, and sometimes I don't even know what I'm doing (i.e. Facebook), but I have fun learning and meeting new people every day. So to celebrate, first I'm going to share some of my all time favourite projects and posts and then I'm going to give you a chance to win an AWESOME birthday present from Plaid! 1. 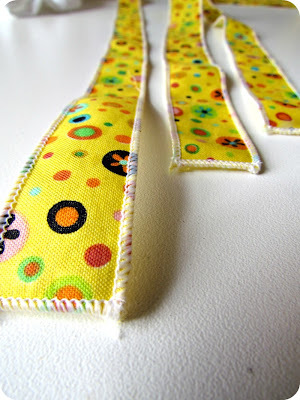 The project that started a craze...how to make a Spool Knitter. 2. You know how much I love butterflies and Mod Podge...these Butterfly Coasters put them both together. 3. These gorgeous Butterfly Bookmarks add a little something special to your reading experience. 4. It still boggles my mind, but my Paper Jewellery project is still going strong on Pinterest. 5. I love refashioning scarves, and this pretty Scarf Purse was one of my favourite. I usually share a project mid-week without a tutorial, just showing you what else I'm up to. 1. One of my first Show and Tells were these Pretty Beaded Rings I made while living in Japan. 2. 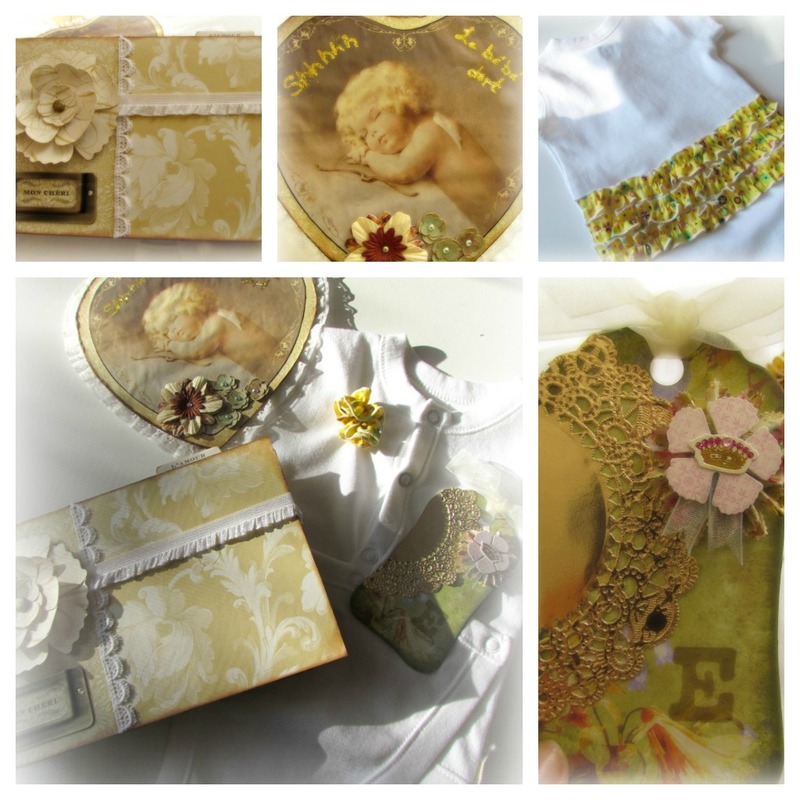 This Crazy Quilt Box was the envelope for my Mother's Day Card, it was that big! 3. I even surprised myself with how cute this Refashioned Yoke dress turned out for my niece. 4. 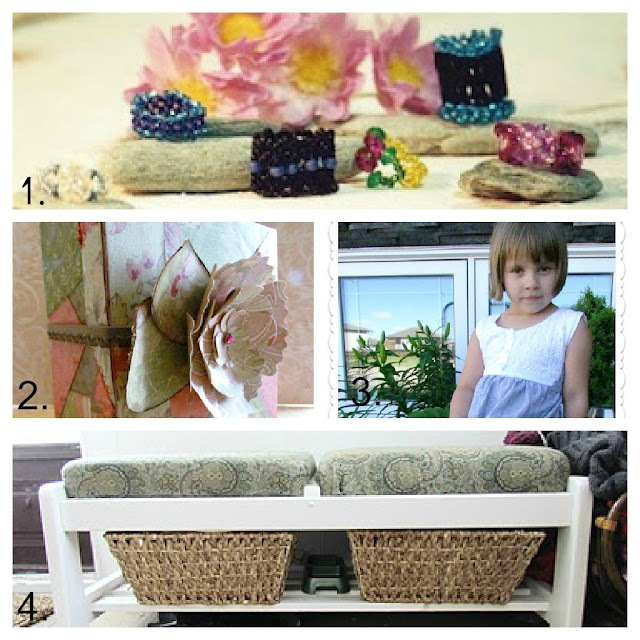 I love and use this Recycle Coffee Table Bench every day. 1. My 2 month camping trip across Eastern and Southern Africa was the trip of lifetime and one of my favourites. This amazing creature was photographed while on safari in the Masai. one of the best that I've seen. 3. I used to live in the Caribbean too, and this shot from St. John brings it all back instantly. just how beautiful my own backyard is! Ahhh, always nice to walk down memory lane. To see more great projects and photos just visit the tabs up top. Take a look at these AWESOME prizes. 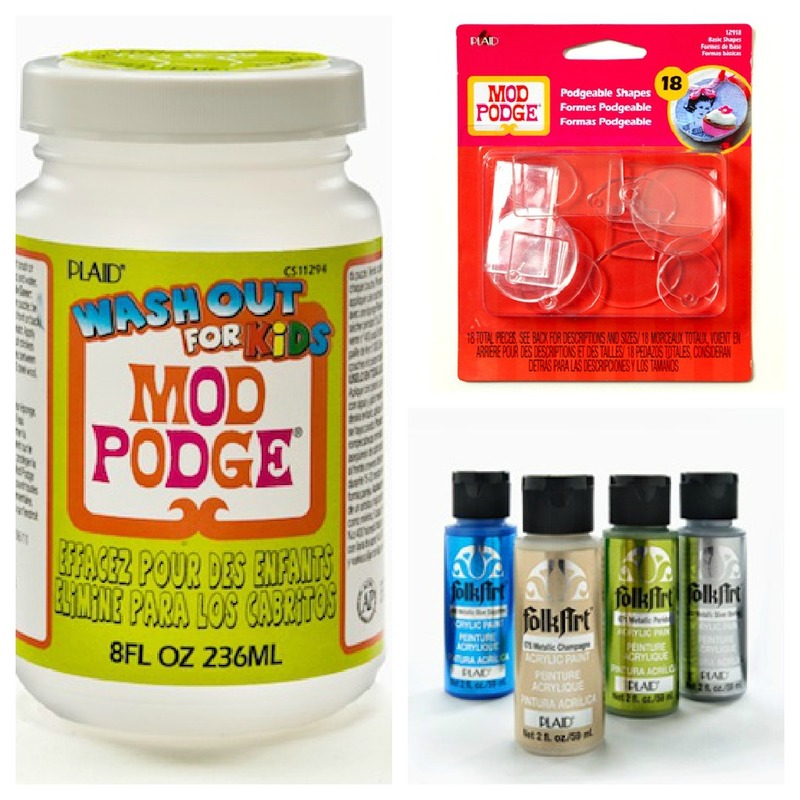 One lucky Etcetorizer will win ALL OF THESE ITEMS!!! 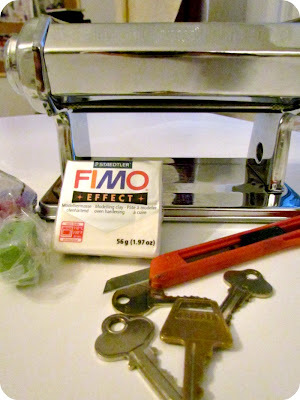 I'm going to give you lots of ways to enter and lots of time to do it. Have your rafflecopter entry(s) in by the end of the month and I'll announce a winner at the beginning of September. Good luck you lovely Etcetorizers!! such a fun, exciting, and creative journey!